Google's Daydream View virtual reality headset will start shipping on Nov. 10 for US$79. The VR headset will work with phones compatible with Daydream, including Google's Pixel. Users can place a smartphone in the Daydream View to roam virtual worlds, watch movies, or play games. 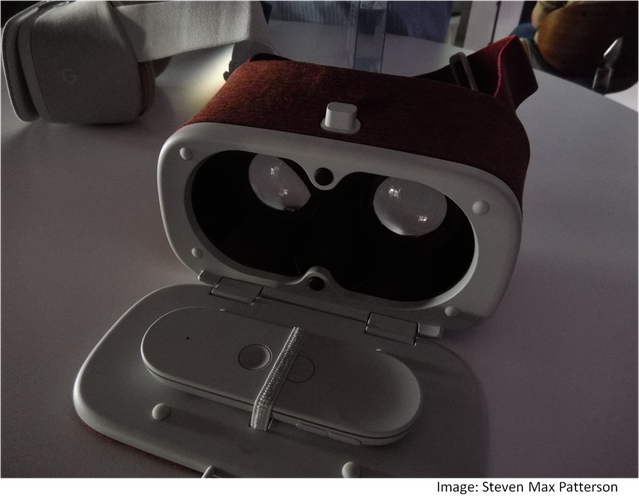 The company showed a number of Daydream applications at the Unite 2016 Los Angeles keynote on Tuesday. The applications included a shooter, a kart racing game, a Wall Street Journal financial app, and a social interaction application. The headset will be available through Verizon and Best Buy in the U.S. It will also ship in Canada, the U.K., Germany, and Australia. Daydream View is free of tethers, but it won't provide a VR experience as powerful as Oculus Rift or HTC Vive, which need to be hooked up to PCs with high-end graphics processors. Users will also be able to make in-application purchases, which is important for developers to monetize their applications, Martz said. The headset weighs about 220 grams and has a stretched fabric cover. More Daydream phones will be announced later this year.